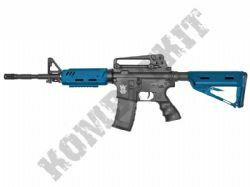 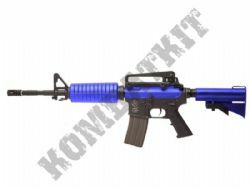 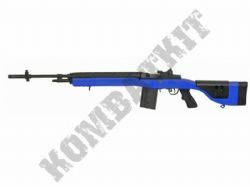 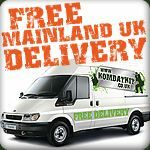 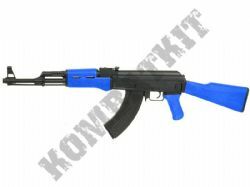 Shop for Electric Airsoft Guns UK. 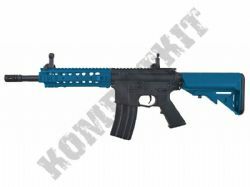 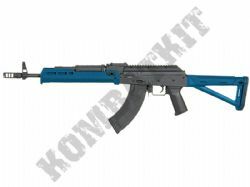 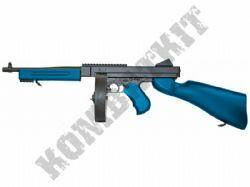 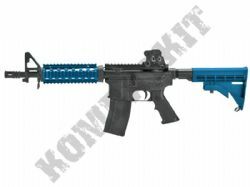 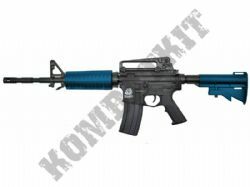 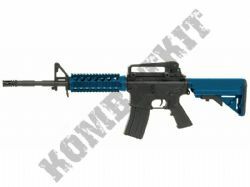 We sell full size Electronic AEGs Airsoft BB machine guns, in UK legal two tone, and black RIF & clear colours. 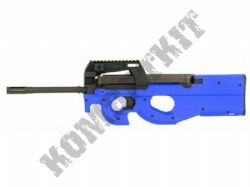 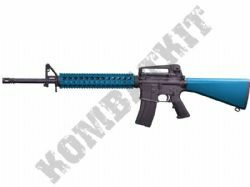 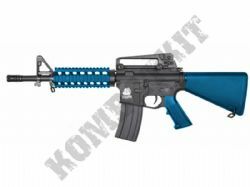 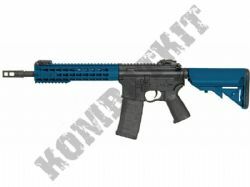 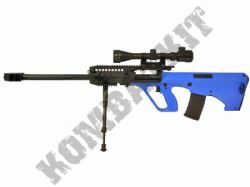 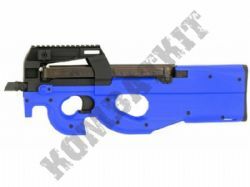 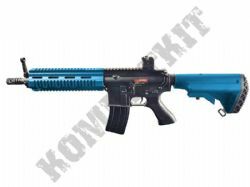 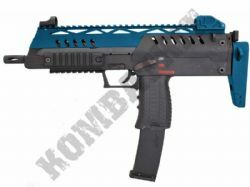 Electric Airsoft machine guns are also known as AEGs which can mean either “automatic electric gun” or “airsoft electric gun”, these are all airsoft BB guns that use a Ni-cad or LiPo battery powered gear box to fire the 6mm BB pellet, which will normally give the shooter or user, either single, semi & full auto pellet firing capabilities. 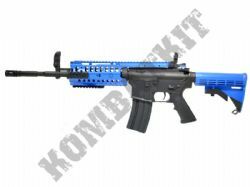 Gear boxes are at the heart or core of all AEGs, for back garden battles resin polymer gear boxes are fine, but for entry level Skirmish and Milsim we would only recommend electric airsoft guns with metal gear boxes, which are more durable, more robust and normally will have a higher rate of pellet rounds per minute (RPM) and a greater FPS (feet per second velocity). 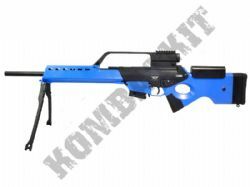 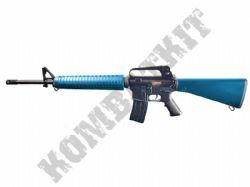 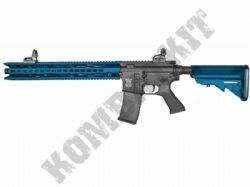 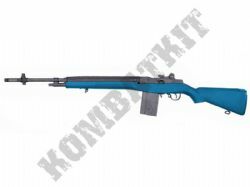 We offer Airsoft machine guns in either resin polymer bodies or full metal bodies, and we find that AEGs with resin bodies and metal gear boxes are the most popular, as they give the best performance versus gun weight. 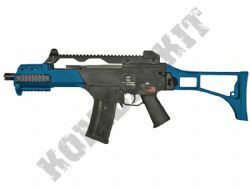 We are also stocking high end electric or gas machine guns with blowback (GBB) functions so that the shooter gets realistic recoil when firing the machine gun. 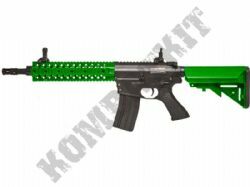 We stock 6mm gas & electric assault rifles, we have 1:1 scale full size replica M4 & M16, G36 & G39, AK47, M14 & AUG-5 electric sniper guns (ESG). 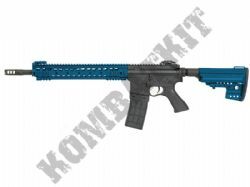 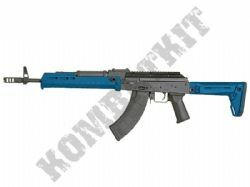 We have electric airsoft guns & gas machine guns from leading brands such as Cyma, SRC, JG, Double Eagle, GE, Ares, WE and G&G. 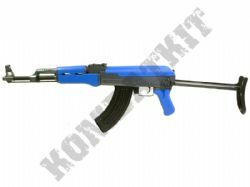 For you electric Airsoft machine gun we also stock Skirmish grade quality polished 6mm BB pellets, plus a full range of magazines, spares & parts, and tactical upgrades, all available from stock with Free UK Mainland delivery (T&Cs apply).